Popular with celebrities (A-listers like Kylie Minogue and Bono have stayed here) and a fashionista favorite, Tim and Kit Kemp's Covent Garden Hotel is well-situated on Monmouth Street - a Seven Dials street filled with chi-chi shops like Orla Kiely, Miller Harris, and the famous Monmouth Coffee Shop. 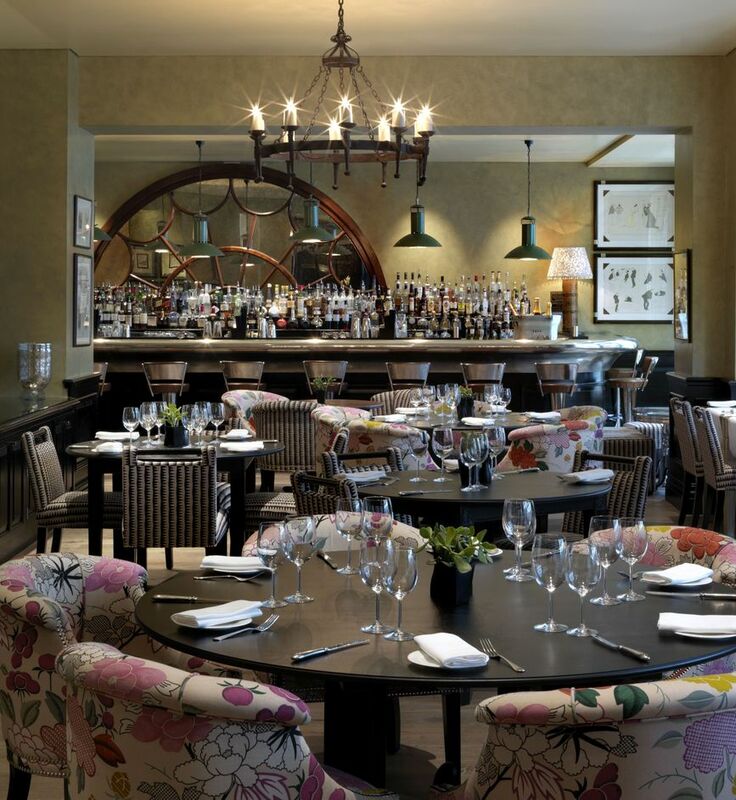 The 58-room hotel, one of seven boutique hotels owned by the Firmdale group in London, is just paces away from the shops, bars, restaurants and theatres of Covent Garden and Soho. But the beauty of this hotel is that each room is individually decorated in Kit Kemp's signature English eccentric style so it's always a pleasant surprise to discover which room you're given when you check in. A jewel in the crown is the Loft Suite a sprawling penthouse split over two levels on the upper floors. The private screening room is another highlight, the venue for the Sunday film club and available for private hire. The hotel also has a small gym in the basement, its own bar and Brasserie Max restaurant, and an honesty bar in the guests-only wood panelled first floor library. Are you booking for a group of people? If you are making a booking for a group of people and require over 10 rooms, you may prefer to speak to the Group Booking Department for Covent Garden Hotel bookings. Special deals can be arranged for groups, including discounts and arrangements for adjacent and inter connecting rooms if required. Call the Groups Reservations Department on 020 7292 2307. The best way to book a group deal is to complete the online form for group reservations at Covent Garden Hotel. What are the best dining options near Covent Garden Hotel London? Covent Garden Hotel gyms, sporting activities, health & beauty and fitness. The best pubs near London Covent Garden Hotel. Covent Garden Hotel clubs, bars, cabaret nights, casinos and interesting nightlife. Where to have your meeting, conference, exhibition, private dining or training course near Covent Garden Hotel. From cheap budget accommodation to luxury 5 star suites see our special offers for Covent Garden Hotel hotels, including Radisson Blu Edwardian Bloomsbury Street Hotel from 87% off.